Jesus was betrayed. He was abused, mocked, scorned and rejected by his own people. His hands and feet pierced through and hung on a cross left to die. In spite of all this the words that were on my Saviors lips were forgive them for they know not what they do. Jesus cared less about his body being beaten and hung on the cross and more about us, our life and our salvation. Now that is love. He then cried out it is finished and took his last breath. They took him down off the cross and laid him to rest in a tomb. Three days later he rose from the dead. Gods might, strength, power and love came to Jesus rescue and His life was given back to Him and life was given to us. By His wounds we were healed. Refreshed by love Jesus stands victorious. His love paid a full ransom for his beloved people. We have been restored back to our Heavenly Father and empowered with the Holy Spirit. God so loved each and every one of us that He gave His one and only son up to save and redeem us. He has gathered us to himself and we are a part of His loving family. We are sons and daughters of the King. Words fail me when it comes to expressing the love and gratitude that I have in my heart for my beautiful Jesus who died for me. All I can do is just praise Him. So I will praise Him all my days for what he has done for me. I pour out all honor and glory to the one who has conquered the grave because of His great love for you and me. Let everyone, everywhere shine with praise to Yahweh! Let it all out! Go ahead and praise Him! 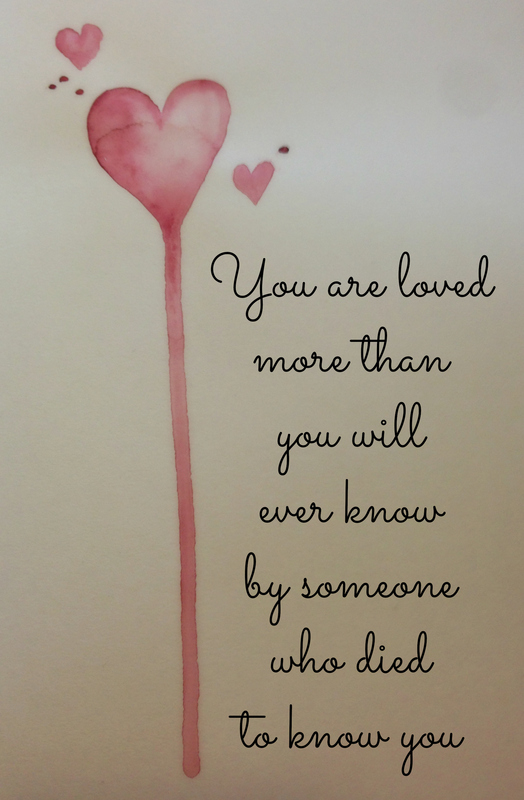 For He has conquered us with His great love, and His kindness has melted our hearts. His faithfulness lasts forever, and He will never fail you! So go ahead and let it all out! Psalm 117 Passion Translation.